This unique racing trophy will have your motor running! 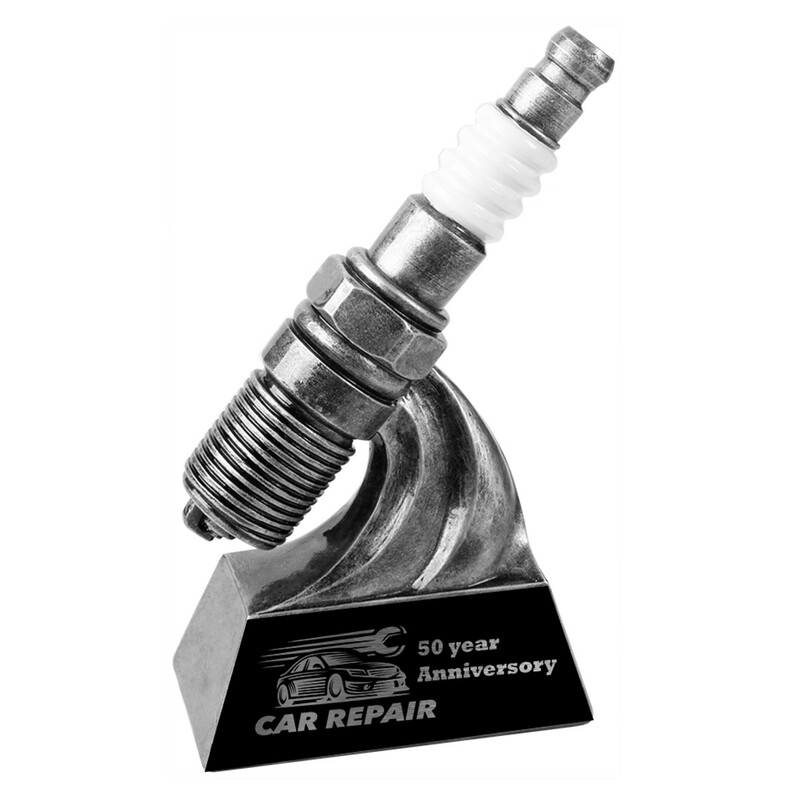 The Resin Spark Plug Award Trophy features a silver resin spark plug attached to a black piano finish base. Your engraving is showcased on a black aluminum engraving plate with silver letters. This is a great award for the team motivator too! Measures 6" tall.